Doing a promotional interview can feel a bit like going on a first date: the nervousness, the preparation, the desperate hope that you’ll connect, have a good mutual rapport, and both walk away agreeing that neither said anything embarrassing and you should definitely hang out again. Of course, for interviews it’s an entirely one-sided affair; the interviewer has a very clear picture of the person they’re meeting and is more invested in the date’s success, whereas the interview subject is in the peculiar position of being forced into a months-long round of largely blind and highly repetitive speed-dating in exchange for press coverage of their latest project. If you have a thing for emotionally unavailable partners, this gig’s for you! And as with first dates, sometimes all the hope and anticipation in the world can’t quiet that little red-flag voice when it starts whispering early on that it might not be a match. Such was the case when I sat down with actor-turned-filmmaker Brady Corbet, the man behind one of my favorite movies of the year, Vox Lux. Since I first saw it at the Toronto International Film Festival in early September, I haven’t stopped contemplating its enigmatic, elliptical portrait of Celeste (played by Raffey Cassidy as a teen and Natalie Portman as an adult), a school shooting survivor who catapults to pop superstardom at the expense of, at the very least, her sanity. It’s a provocative, furious 21st century parable, directed with defiantly controlled opacity and artful assurance by Corbet, who previously wrote and directed another story of a powerful figure’s dark ascent, The Childhood of a Leader (2015). And while Vox Lux has proven polarizing among audiences unsure of what it’s all supposed to mean, there’s no denying the absolutely exquisite visual eye Corbet brings to this chilly and alienating tale, working with cinematographer Lol Crowley (45 Years). When you consider the remarkable roster of auteurs in whose films Corbet has acted in just over 15 years, it’s not surprising that his sensibilities as a filmmaker are so immediately hypnotic and decidedly European; he’s worked with greats like Michael Haneke (the English-language remake of Funny Games), Lars von Trier (Melancholia), Olivier Assayas (Clouds of Sils Maria), Ruben Östlund (Force Majeure), and Mia Hansen-Løve (Eden), in addition to American mavericks like Catherine Hardwicke (Thirteen), Gregg Araki (Mysterious Skin), Noah Baumbach (While We’re Young), Antonio Campos (Simon Killer), and Sean Durkin (Martha Marcy May Marlene). Paradoxically, the reasons why Corbet was able to craft Vox Lux into the one-of-a-kind cinematic experience I adore are precisely the reasons why I suspect we probably wouldn’t be pals outside of this context. 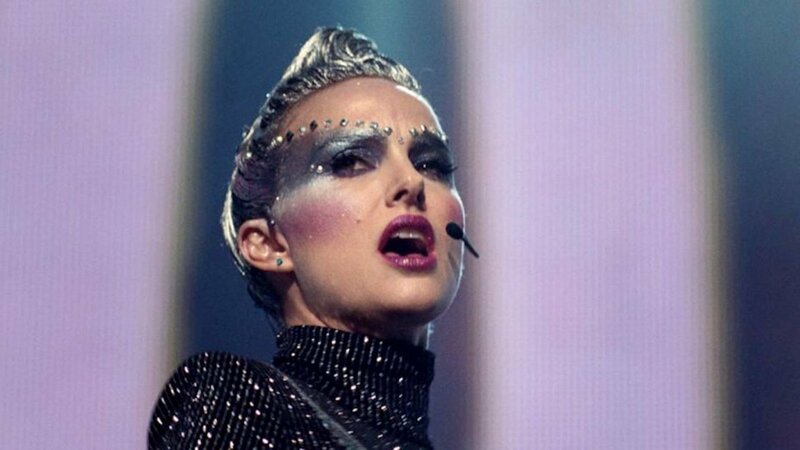 Vox Lux is, in part, a seething expression of Corbet’s total and complete contempt for modern popular culture—a culture in which I happily participate and, daresay, have found my life’s work. At various points in our conversation, I found myself thinking cautionary thoughts ranging from typical (“Do you even have a TV?”) to truly alarming (“DO YOU HAVE A PROBLEM WITH BEYONCÉ???”). Corbet is a very serious and philosophical artist and I am a large silly man who spends his days reading posts from no fewer than three members-only Facebook groups for Real Housewives fans. While we might not have BFF status looming in the future, one thing Corbet and I have in common is an intense fascination with Vox Lux…and perhaps even a shared inability to thoroughly describe everything it means to us. Corbet’s tone while discussing the film sometimes sounded like even he couldn’t fully articulate the immense, somewhat inscrutable power of the story and images he’s captured on 35mm film. (In his defense, he was also getting over a cold.) When someone demands to know why I like this movie so much—which, so far, has happened literally every single time someone else I know has seen it—I also frequently find myself at a loss for words. But whatever Vox Lux is saying, I feel it in my bones. It is a howl of millennial trauma and lamentation, less concerned with drawing conclusions about our horrifying fucked-up world than simply illustrating that we’re living in it, inviting us to reflect on what we’ve endured in such a pitifully short span of history, through the lens of those for whom the Columbine shootings and the 9/11 attacks occurred during our teen years. It is an audacious, assaultive reckoning with the evils of our world and their corrosive effects on the generations young enough to be shaped and defined by them. It might be the most meaningful film yet to be made about the last 20 years of big-picture American history, standing alongside Kathryn Bigelow’s Zero Dark Thirty as one of the only notable works to offer any real perspective on the ongoing screaming PTSD that is everyday life in this country in this millennium. Also, it has original songs by Sia! The Binge: You’re currently taking Vox Lux around the country and doing post-screening Q&As with a variety of audiences. What are the reactions like? Brady Corbet: It’s very mixed. The people that love it, love it. And the people who don’t like the film are still fascinated by it, so that’s good. Yeah, for sure. People have more context for what the film is now, and context seems to help viewers a lot with how to watch it. The truth is that if you tie yourself to every single person’s reaction, whether it’s good, bad, or ugly, they would just pull you apart. You can’t do it. Whenever someone likes the film, it’s great, but it’s also easy to understand why someone wouldn’t. God knows I don’t like a lot of things. In Toronto, your film became part of a cultural moment about movies focused on female pop or rock stars (it screened alongside Lady Gaga as a rising singer/songwriter in A Star Is Born, Elisabeth Moss as a spiraling grunge rocker in Her Smell, and Elle Fanning as a singing-competition hopeful in Teen Spirit). What drew you to tell a story with a female pop star as its protagonist? I never started off with the desire to tell the rise-and-fall story of a pop star, male or female. It ended up just being a great avatar for us to talk about something else, mostly capitalism in this country, and the way that capitalism capitalizes on tragedy. Tragedy is managed and represented, and that is quite perverse to me. I was 17 that spring, a high school junior, so this really took me back there. The origin story for Celeste’s fame is that a song about grief and healing she performs at a vigil becomes a national hit. That reminded me of a particularly morbid Top 40 moment from that year, when a version of Sarah McLachlan’s “I Will Remember You” that had been edited to include audio clips from Columbine news coverage became a radio mainstay in the weeks after the shooting. Do you remember that? I don’t remember that specifically, but I remember the song very well. That’s really interesting. There was a version of the script a long time ago that had TRL in it, but one thing I decided was to erase anything that felt too insider. I felt like it could be perceived as, like, a joke about landlines or something, which I just don’t find that funny. So I wanted to make the film as universal as possible, which is one of the reasons that there are no cellphones in it. You don’t see anything that marks the moment in time too much. The idea is that hopefully this film can still function in 25 years and not feel totally dated. The costumes are of a bygone era already. It’s really funny because it offends my aesthetic sensibilities so much to, like, shoot pleather. [Laughs.] But when you look at reference images, you frankly can’t go far enough. They’re so over the top. I won’t name names, but even music managers and stuff—you’re, like, shocked at the fact that they were actually wearing tracksuits in 1999. And some of them still do! It’s this funny thing where the film, in order to subvert cliché, also needs to embrace cliché. It’s protesting the thing by being the thing. And that was very complicated. My next film mostly takes place during a very beautiful moment in American history and it’ll be a great relief aesthetically to be photographing a time that is so tasteful. I met with someone recently who said something that really struck me. I was thinking out loud about the film and I was like, ”I never would’ve expected five or ten years ago to make something that’s so brash, because I’m not particularly brash. Or at least I hope not.” And she said, ”But the film isn’t brash. The film is about brashness.” That really stuck with me, because she reminded me of my own intent. And that’s true: it is about brashness. But it’s also made with a great deal of empathy for this character. The film is no more or less cynical than the time that we’re living in. The character does ultimately reveal herself in the second half of the movie to be extremely vulnerable, even if she has behaved poorly. You mentioned that in your depiction of Celeste’s pop star milieu, you felt like you couldn’t go far enough. That seems to be a common dilemma in American art right now in general: how do you create something that eloquently reflects or comments on a culture that’s become an over-the-top parody of itself? Completely. This must be one of the least dignified moments in popular culture in the history of humankind. I’m curious to see if the culture will implode on itself the way that we’ve seen happen before, like with Viennese society at the turn of the century. There are so many empires that have fallen that no one thought possibly could. As an American, I certainly hope that we just grow and move past the heinousness of this experience. But at this moment, I can see it going either way. One question we all seemed to be asking after the 2016 election was, “How did we get here?” Your film jumps from 1999 (Columbine) to 2001 (9/11) to 2017 (the first year of Trump’s presidency). Did you intend the film to address that question? I mean, without 9/11 there is no Trump. 9/11 was a perfectly iconic disturbing image to fuel fear-mongering for the rest of this century. A couple nights ago, I was with my daughter watching Home Alone 2, and there’s a scene where [Kevin] goes up to the top of the Twin Towers, which I’d forgotten about. And my daughter was confused about where that was in New York, because she lives in New York and those buildings are no longer a part of the skyline. It was haunting. It feels so recent in our experience. I mean, it feels like yesterday. But even for our film’s star, Raffey Cassidy, she was born in 2002. She actually learned about the Twin Towers in a history class. It’s sort of a blunt-force trauma the moment you realize that you’re second-generation [to 9/11]. Millennials are already second in line, and that’s wild. I’m only 30 years old! When I think about everything that we’ve been through up until now…it’s just nuts. And of course Trump actually has a cameo in Home Alone 2. That’s right, he does! There are major, major forces at work that paved the way for where we’re at today, and they feel almost preternatural. It’s really something. You used the word “iconic” to describe the 9/11 attacks, and I’ve read interviews where you use that word to describe what you didn’t want to capture visually with the school shooting in your prologue. Could you talk more about what you mean by that word? The idea was that the film begins with restraint and dignity, to recall a moment in time when things were more dignified and natural, and then unravels into affectation and posturing in the second half. Also, I wanted the the violent event in the second half of the film to be like a violent event redux, like 2.0. I’ve been fascinated for a long time by…for example, ISIS has a zine. That’s really wild, right? ISIS is curated. ISIS has a fashion. And in fact, there are places in western and central Europe where you’ll see rebellious teenagers who dress like ISIS. So I think that iconography is the most valuable currency in the modern age. And I find that fascinating. That’s essentially what the whole film is about, and how it examines icon worship. Blind worship is incredibly toxic. I personally don’t believe it’s healthy. It’s okay to admire someone for their work, but you cannot expect there to be a real genie behind the genius. At the end of the day, we’re all just human beings doing our best, and I don’t think anyone is above anyone. When I’m the boss of a production, it’s a very democratic and fair process. I don’t like the way that idolatry is exploited for commercial benefit or purposes. I can’t read Twitter because it’s like peering into the psyche of a deeply disturbed individual. And you see millions of adults participating, millions of adults… The weirdest thing is that it just seems to be this platform for people to mock each other. It’s so low! I can’t believe that so many really well-respected adults are participating in it. Maybe they’re not outwardly bullying someone, but there’s still this really smug tone that feels like the arched eyebrow emoji. Everyone’s trying to out-arch each other. For a long time I thought, ”Oh, it’s just a really specific kind of person who’s attracted to that.” And suddenly it seems like a lot of people were like, ”If you can’t beat ’em, join ’em!” Once you start engaging with your critics, whether personal or creative, then it just turns into a vicious anonymous argument full of slights and I…I just don’t get it. Everything influences everything. When the world is this connected, disparate things that seem to have nothing to do with each other have everything to do with each other. And there’s a lot of good things about that. To speak to one positive, I think the way that people are able to organize grassroots operations and campaigns is fantastic. That’s a great thing about being so connected. But unfortunately, it also unites neo-Nazis. Before we wrap up, I wanted to ask about Celeste’s original songs in the movie, which are written by Sia. You spent a long time listening to many songs and scraps of songs before landing on the ones we hear in the movie. What were you listening for? How did you know what made a Celeste song? Because the character is an amalgamation of many, many real-life people, it was important that the songs speak to a variety of different styles: cheerleader pop and EDM pop and bubblegum pop and ballads. When people get a chance to listen to the entire soundtrack when it comes out, it will really change their experience of watching the film. [Editor’s note: I have since listened to the soundtrack and agree with everything Corbet says here.] I can say this because I didn’t write the songs, but every single one is very legitimate and very, very good. You only get to hear a few minutes of all the tracks, sometimes only 30 or 40 seconds, but it really is an impressive soundtrack. It will change the way people relate to the last 15 minutes of the movie, because part of the reason the ending is so long is because when you’re not familiar with a pop song, you see it for what it is. It’s kind of like when you land in the city where you’re from, and you see the area that surrounds the city and neighborhood that you live in, and you see it for this urban sprawl that it is, good and bad. So it’s actually a very unique experience for people to be able to watch this movie without knowing the songs, because when you don’t know them they’re not intoxicating, and you just see them for what they are. When you do know the songs, then it’s kind of exhilarating. People’s relationship to the conclusion of the film will change as people get to know and familiarize themselves with those songs, because they are all worthy. The idea was to make the soundtrack as good as possible and very universal in its appeal, because the film is much more challenging and controversial than these songs are. You need them to balance out the piece. Vox Lux opens in San Francisco on December 7.